BRANDON, MB – New research by Brandon University (BU) into the amalgamation of rural municipalities in Manitoba suggests that the traditional idea of municipal boundaries has been blurred by new realities of economic growth, provision of services and the mobility of residents. BU’s Rural Development Institute (RDI) has released two reports examining both the geography of where people live and work and the indicators of strong rural municipalities. The reports, funded by the Province of Manitoba, are intended to inform discussion about rural amalgamations as proposed in the government’s Bill 33. “Our research,” says Dr. Ashton, “indicates that strong rural municipalities are not islands but rather engines of growth and economic development. The reports are available at https://www.brandonu.ca/rdi/publications/rural-adaptation-and-change/. Brandon University, founded in 1899, promotes excellence in teaching, research, creation and scholarship; educating students so that they can make a meaningful difference as engaged citizens and leaders. 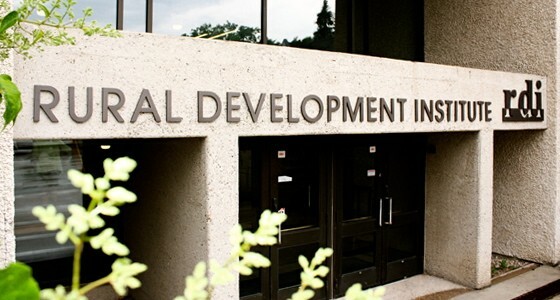 RDI functions as a not-for-profit research and development organization designed to promote, facilitate, coordinate, initiate and conduct multi-disciplinary academic and applied research on rural issues.